Manufacturer Flakes on Mac Support, User Delivers: Behringer BCD2000 Drivers for OSX! The BCD2000 has been somewhat of a contradiction for me since purchase. On one hand the hardware is fantastic; robust and seriously cheap. On the other hand the included software and drivers are absolutely abhorrent, PC only affairs with broken midi implementation. I’ve always hoped that Behringer would update the BCD to have similar (extensive) MIDI configuration options to the BCR and BCF. That hasn’t happened, and almost 2 years after its initial release the BCD is almost in the same position as it started. Almost. My first subject is Behringer’s BCD2000. When it was released about two years ago it was rumored that MacOS X drivers would be released by the end of 2005. Rather than waiting for those to appear (which they probably won’t) I decided to have a go myself. The result is quite good, if I say so myself. It works, which is more than I expected. Currently only MIDI in and output works. Audio does not. That means you can control Traktor the way you would on a Windows computer, but you won’t hear anything through the BCD2000’s audio ports or record anything trough them. You can still, of course, use other audio outputs, built-in or external, that do work with MacOS X. Right now the MIDI input and output are should be identical to the Windows driver in B-DJ mode. Which means a reasonable amount of pain is implied when trying to configure Traktor for the BCD2000. Basically, the same hack that works for Windows (using MIDI-Rules and a loopback device, in our case Apple’s built-in IAC) is also required for Mac. I hope to incorporate similar functionality inside the driver in the future, eliminating the need for the hack. For now, this will have to do. A more detailed guide to setting this up will be posted sometime later this week. I have just finished building and testing the Universal Binary driver for the BCD2000. So now you should be able to use the BCD2000 on your PowerBook, iBook, iMac and PowerMac, as well as your MacBook, MacBook Pro, or Mac Pro. As always, you can find the download link over at the “Links” box on the right. On other news, I’ve been working on a GUI for MIDI Rules, which should make setting up Traktor a bit easier. After that’s done being polished, I’ll release it and write up the HOW-TO for getting Traktor up and running with the BCD2000 on Mac OS X. Right now, though, I’m being rather intrigued by how audio works on the BCD2000. My pleas for documentation have fallen on deaf ears at Behringer (you’d think they’d be a bit more supportive when you’re doing them a favor like this one), so I’m staring at hex dumps from USB Snoop on my Windows machine trying to figure this stuff out. 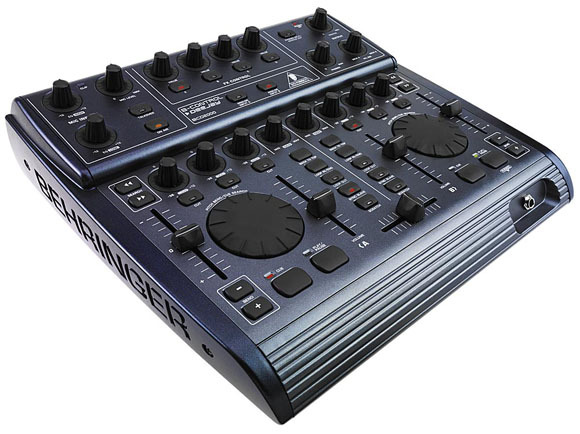 This is absolutely stellar news for users, and shockingly poor form from Behringer. That they had both an obvious demand and a 2 year head start and were still beaten to OSX compatibility by a hacker with hex dumps is a pretty apt reflection on their pathetic attitude to customer support. I’ll be picking up a Macbook (my first) in the coming month or so, but until then I’d love to hear from anyone who’s been able to give this a spin on their Mac. I’ve emailed Evinyatar to get some further information on his process, and I’m thinking of propositioning him to work on an updated Windows driver. Any other frustrated BCD2000 owners out there willing to chip in to fund work on this? In the meantime, lucky Mac-based BCD2000 owners can download Version 0.0.1 Universal Binary and give them a go. (Updated) Technical Difficulties: Back in Black?